1 In the Project Web Access navigation bar, click Home. 2 In the side pane of your Home page, click Alert Me About My Tasks And Status Reports. The Alert Me page appears (see Figure 23-15). 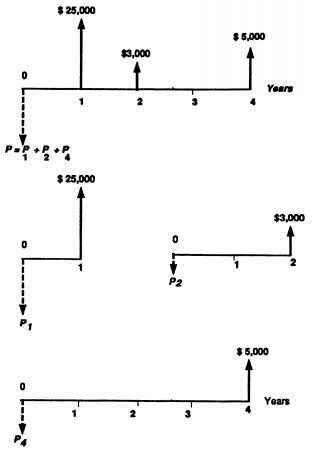 Figure 23-15. Specify any e-mail notifications you want to receive. 3 Review the options throughout this page, and select the check boxes for the events for which you want to be notified via e-mail. Clear the check boxes for events for which you do not want an e-mail notification. 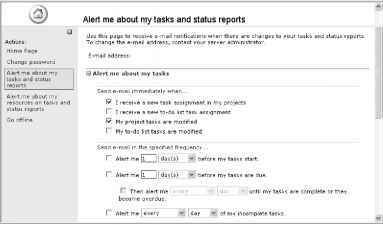 You can set up e-mail notification options for upcoming tasks, overdue tasks, and for status reports. 4 When finished, click Save Changes at the bottom of the page.